Along with Sanders and McLarty, representatives from city and county governments, convention and visitors bureaus, museums, historic sites, and trail clubs came together to form Heritage Trail Partners, an organization dedicated to the promoting and supporting the design, development, preservation, and advancement of the Heritage Trail. Heritage Trail Partners was granted 501(c)3 status in 2004. A logo contest sponsored by Heritage Trail Partners in 2004 resulted in a winning entry submitted by architect and developer Collins Haynes of Rogers, Arkansas. The logo is displayed on signage linking the Heritage Trail in Benton, Crawford, and Washington counties. 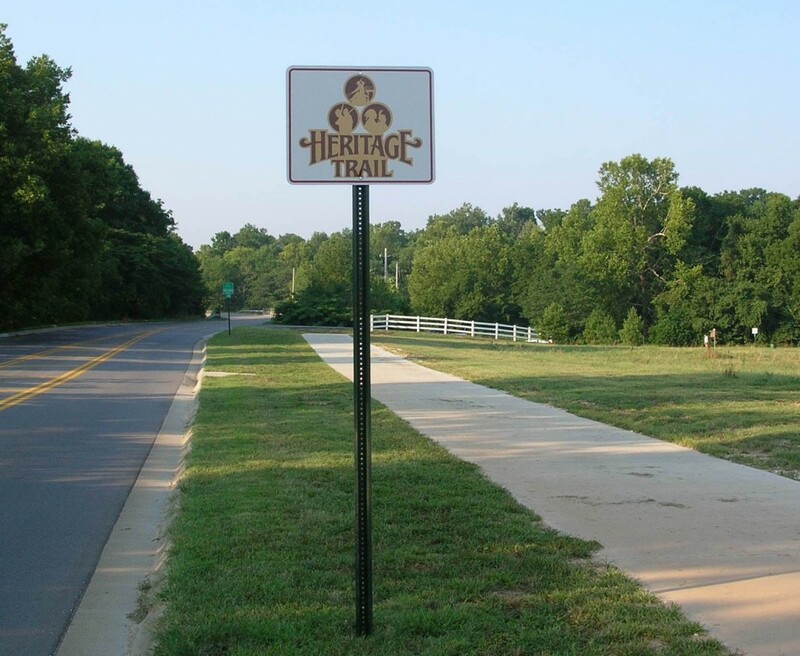 Over the years, Heritage Trail Partners has sponsored the installation of interpretive panels as well as a variety of public programs, reenactments, and trail rides, all focusing on the rich history found along the Heritage Trail. Read more about our accomplishments. John McLarty, president; Jackie Crabtree, vice president; Marilyn Heifner, treasurer; Susan Young, secretary. Barbara Horn, Lonnie Horn, Kevin Johnston, Dr. Greg Kiser, Scott Mashburn, Rick Parker, John Rago, Bethany Rosenbaum, Alan Thompson, Gloria Young. Advisor to the board: Kevin Eads.